The new service was unveiled at Microsoft’s Future Decoded conference, and is aimed at low-data communication services. Microsoft's latest introduction, Skype Lite, is the company’s attempt to take on WhatsApp and Facebook Messenger's growing popularity in India. The app is being introduced by CEO Satya Nadella as part of Microsoft's Future Decoded conference. While Skype was developed for the PC platform from ground up, Skype Lite is conceived as a mobile-first platform. Microsoft says that the new Skype app is built for slower data networks and low to mid-range Android smartphones. The app, designed by Microsoft's India Development Center in Hyderabad, also offers some India-centric features, and Microsoft wants Skype Lite to be your default app for calling, texting and even contact management. 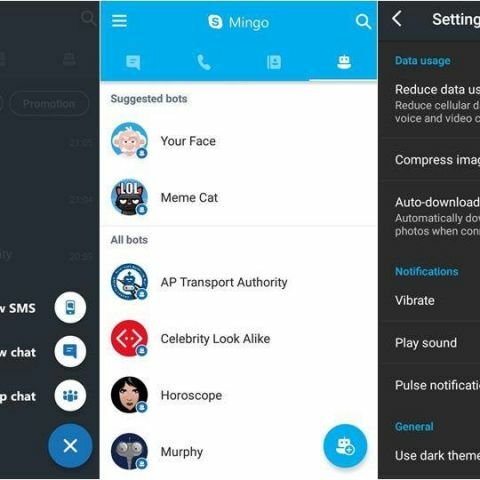 Back in December, Microsoft introduced Skype Mingo as an alpha app for Android. The new Skype Lite is the commercial version of the Mingo app with download size of less than 13MB. The USP of this app is that it consumes less data than the standard app. Skype Lite shows data usage over cellular and WiFi networks and reduces consumption during Skype calls. 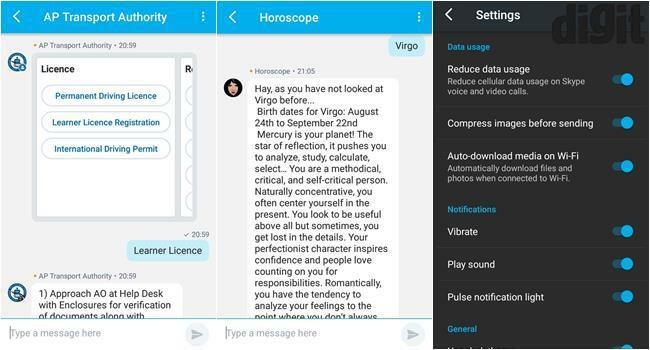 With Skype Lite, Microsoft has used an interface similar to the existing app. Skype Lite users can send or receive text, make voice or video calls and interact with bots. It features four tabs offering access to messaging, calling, contact management and bot interface. In the absence of internet connection, the app will switch to your mobile network for text and calling functionality. "We are here to make Skype better and not compete with WhatsApp or other apps. With Skype Lite, our focus is to deliver a seamless experience without consuming much data," Eugene Ho, Director of Product Management at Skype told Digit. "Skype is a brand loved in India but its awkward because of the network and connectivity issues. With Skype Lite, we have tried to fix those flaws," said Yasmin Khan from Skype Product Marketing team. The noticeable difference with Skype Lite is the photo sharing feature. Skype Lite compresses images and sends them fast to contacts. With this feature, the app seems to have achieved parity with other social messaging platforms. Skype Lite also brings features like a dark theme, which makes it easier to type at night. Microsoft says that the dark theme continues to be one of the most requested features on Windows 10, and that is why it has brought the option to Skype as well. Microsoft Skype Lite is also one of the first apps to tap into the potential Aadhaar authentication system. Skype will add Aadhaar integration by June 2017 and will enable features like identification verification when required. The feature has potential to transform the way interviews, goods and property purchase are conducted in the country. The app also supports seven local languages including Gujarathi, Bengali, Hindi, Marathi, Tamil, Telugu and Urdu. Skype Lite also supports Microsoft's bot framework and conversational UI. Ho said that Microsoft is working with local government and developers to build quality bots. One of the most interesting bots is the ‘AP Transport Authority’ bot which automates the process of applying for driving license and other registration processes. Microsoft is also working on an MSN news bot to deliver important news based on location, to Skype Lite users. At this point, there are only a handful of bots made available, and Microsoft says it is not going after numbers. Microsoft’s Skype Lite comes at a time when WhatsApp has moved beyond messaging with voice and video calling features. The new app may not replace WhatsApp as the go-to communication tool, but it has the potential to have its own unique place if Microsoft gets the bot framework right for Indian consumers.